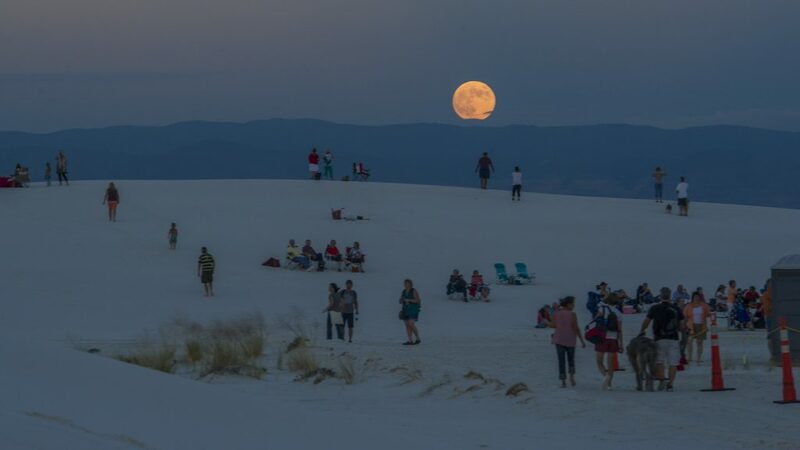 Have you ever wanted to hike the dunes under the magical glow of the full moon? This is your chance to enjoy the peace and serenity of this elusive environment and experience what the animals that live in the area see at night. Join a ranger for a full moon hike and see firsthand how these animals survive in the dunes. Full moon hikes are offered once a month on the night before the full moon. Entrance fee to monument also applies in addition to program fees, $8 per adult, $4 per child.